The links point to the html versions of the notebooks. You can get the original notebooks (.ipynb) in Examples. Have a look at this documentation to see how to reuse a notebook from a python script (and avoid the conversion from the notebook to python script). 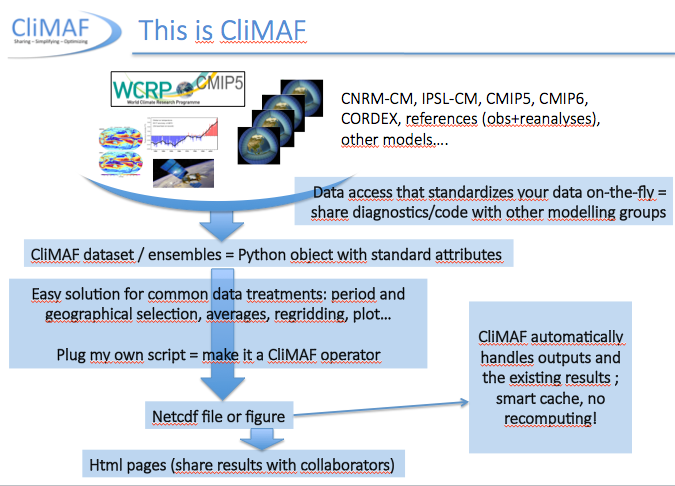 Also find here the last notebook we've done together during the last hour of the practicals: working with a CMIP5 and a CMIP6 ensemble, calculating an ensemble mean and the difference between those and observations, and eventually make some multiplots. Bonus: thanks to the questions of the participants, you will find in this notebook how to easily plot the members of an ensemble to track down a potential corrupted member. 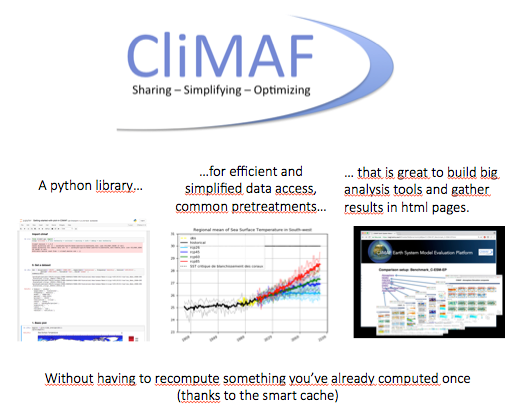 Can CliMAF make my scientific life easier? © Copyright 2014, Météo-France / IPSL / CNRS - Under a (GNU GPL-compatible) CeCILL-C licence. Created using Sphinx 1.2.3.